Our multi-dentist practice provides compassionate family dentistry to patients of all ages. We especially enjoy catering to the concerns of anxious patients, and those in need of emergency care. If you’ve had a previous bad experience or dislike going to the dentist, then please let us know at the time of making your appointment so that we can take extra care and help prepare to alleviate your fears as much as possible. When you visit Smiles in Currambine, you’ll notice a friendly, relaxed atmosphere where the staff caters to your specific needs. We treat our patients with respect, kindness, and foster a nurturing environment for both our patients and our staff. Digital dentistry not only improves the efficiency and quality of the care that you receive; it also enables our practice to be more eco-friendly. We utilize the latest dental technology including dental lasers, digital imaging and 3D digital scanning. Our dentists and staff undergo regular training to stay abreast with the current techniques in dentistry and also in dental implant procedures. Here at Smiles in Currambine your safety and comfort is most important to us. We are a fully accredited practice by QIP and have achieved this by integrating the National Safety and Quality Health Service (NSQHS) Standards into our practice’s existing quality standards systems. 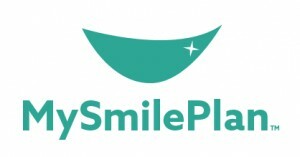 We are proud to partner with My Smile Plan to offer our patients interest free payment plans for dental treatments. Terms and conditions apply, please get in touch with us to find out more. We deliver high-quality dental care regardless of the socio-economic status of our patients. Through education and proactive therapies, our Currambine dentists can help to reduce the extent of care that our more at-risk patients need in the future. New patients are always welcome. If you’re searching for a new family dentist, Smiles in Currambine has everything that you need. Contact us today to schedule your first visit with us.